This post is loosely based on Luke 19:28-40, the gospel story of Jesus' entry into Jerusalem. In preparing to preach on the passage this Sunday, I decided to spend some time inside the passage, imagining what it might have been like. This story is told from the perspective of Simon the Zealot who I imagine being, along with Philip, asked to walk into town to fetch the colt for Jesus. I can't overestimate how very helpful this practice was for me. I hope you might also find some time this week to wander around inside of the gospel stories. It felt like the first day of spring. Like everything we waited for was so close we could almost taste it. We were close to Jerusalem. The closer we got, the edgier we were. Jesus was quiet. When we reached the Mount of Olives, Jesus turned to me and Philip. He chose us, and told us to go and look for a colt in the next village, it would be tied to a post and we were supposed to just walk up and take it. How did he know this? We didn’t ask. He chose us, that was all that ever mattered. Jesus and the rest stayed resting under the shade of the olive trees. Philip and I walked alone. When you were with him, walking beside him, it was like feeling the sun on your back – faith rose and blossomed. But with every step we took away from him, faith dimmed. Clouds of doubt rolled in. Our confidence wilted as we walked toward the village. We hardly dared to think, much less talk about what might happen when we reached Jerusalem. Instead, his stories ran through my head. Everywhere we went he spun stories, painting pictures with words. I tried to make sense of them, but I couldn’t. Maybe I didn’t want to. Bethany was small and dirty, like every other village, nothing special. The smells and sounds nearly knocked me out after the quiet walk through the countryside. It was hot, the sun was unbearable. I envied the disciples left behind, resting under the trees. The village seemed to go on forever. Women stared as we passed. Children ran up to touch our robes, then scrambled away laughing. We weren’t used to this feeling of travel, of being strange and out of place. The further we walked, the more foolish we felt. Reason raised its head - why this village? Why a colt? And where? Where was it? At the far edge of town, we heard it. A donkey brayed. I stopped mid-thought, put my hand out to stop Philip in his tracks. Again, we heard it, the screeching sound like metal grinding against metal. It came from somewhere to the right. We followed a small path through a thicket. Our steps slowed, nervously. Then we came to the edge of a clearing. An ancient stone house stood silent, a fire smoldered in a pit. Chickens pecked the ground. Off to one side stood a young donkey tied, just as he had said. My heart leapt. Philip grabbed my arm and squeezed tight. Our eyes met wide with surprise and glee. It was all we could do to keep from laughing. Never before has the sight of a donkey been cause for such joy. Giddiness propelled me. I rushed toward the colt. It skidded sideways, stretching the rope taunt. The colt erupted in a string of screeches, its lips pulled back, teeth exposed. I lunged for the rope, ready for a fight, when Philip again grabbed my arm. I followed his eyes toward the house. A small man slowly emerged from the shadows. I pulled my hand back from the colt immediately. Behind him a woman and a small child peaked out of the doorway. Chickens squawked and scattered as he crossed the open yard. I have never seen such a short man, he would’ve made Zaccheaus look like a giant. He had a grave and wrinkled face. He seemed coated with a lifetime of hard work and dirt. My heart sank. He would never let us have this animal. I thought of the sword at my side, it wouldn’t take much. But the woman and child, watched from the doorway. Philip bowed in greeting and I followed. The little man bowed. Why not, I thought. Why should we not take whatever we needed to overthrow the Romans? Why try to explain the unexplainable to this dirty man in his dark hut? Everything was always so unbelievably simple with Jesus, the simplicity itself was confusing. “The Lord needs it,” I said. The little man caught my eyes with his own and held them. I watched him measure the truthfulness of my words. I knew he likely guessed my thoughts about my sword, my urgency, and frustration. Something in my eyes satisfied and he turned to the colt. He reached out and patted the animal, murmuring into its long ears. “Take it,” he said simply, then turned and walked away. Our excitement grew with every step back through the village. We marched into the olive grove like victors returning from battle. The donkey brayed and bucked at the rope. Everyone gathered around shouting questions, slapping us on the back, startling the colt. “How? Where?” they asked. “It was just like he said, just like it,” I repeated, grinning and proud forgetting the doubt I’d carried across town. Then Jesus pushed in to the circle. He smiled at our surprise and delight. His tired eyes crinkled in the corners. His robe was wrinkled and dusty from resting on the ground. “You did well, Simon,” he said, clamping his hand on my shoulder and fixing his eyes on mine. “You too, Philip,” he added. Like I said, he was like the sun, you know? And when he shone on you, it was something you never forgot. Jesus took the rope and leaned in quietly toward the donkey. He patted it, whispered in its twitchy ears like the little man had. I think in that moment, the colt felt just as loved as we did, just as happy and full of hope and excitement. It stamped a foot and brayed flicking Jesus’ face with its ears and we all burst out laughing. Peter pulled off his cloak and laid it on the donkey’s back. Nathan too, and Andrew, until the poor animal was draped with a rainbow of dirty robes. It was time for Jerusalem. I knelt right there in the dust and made a step with my hands. Jesus stepped and leaned while Andrew tried to steady the donkey. But the animal sidestepped and I teetered, pitching Jesus forward. His stomach landed with a thud on the donkey’s back, knocking the wind out of his lungs. I was so embarrassed, but Jesus pulled himself up laughing again and swung his leg over the side. When he laughed, it unleashed something inside of us. We were like boys again, free and happy. Here we were, in the biggest adventure of our lives, with Jesus at our side and the wonder of it carried us all along. Jesus led the colt toward Jerusalem, leaning to whisper again in its ear, scratching the coarse hair where the rope hung around its neck. Moving forward, a nervousness settled over the crowd of us again. Then we followed and with each step our excitement grew. Thomas started the singing. His deep voice rose and the others joined in following the words of the psalm we all knew. The psalm of victory. I heard the words entirely new as we sang them there in the dusty streets out under the open sky. I wanted, waited, all of my life for a King. Here he was and here we were together, marching into Jerusalem. But not marching, nearly dancing. As much as I wanted it to be different, as much as I remembered the sword at my side and my dreams of a mighty king on horseback leading me into battle, I was happy. Happy with this fool of a man plodding along on a donkey’s back, this man who loved me. I wasn’t the only one off pitch. Philip had no rhythm, not an ounce of tune, and we were an ugly bunch weaving our way into town, drunk on good news and friendship and the love we all needed. They heard us first (probably smelled us second) and women and children wandered out to watch us. Such a strange parade. We sang at the top of our lungs, jostling each other, slapping shoulders and backs. Peter reached out and grabbed a boy in the crowd, swung him on his shoulders and Andrew jumped to reach a palm branch. Breaking it, he placed it in the boy’s hand and the boy cheered and waved like mad. There’s something about a people, so beaten down with sorrow and fear, there’s little left to lose. Maybe this is what made them join us, welcome us, break branches of their own and join the singing, the dancing and shouting. Some stripped off their robes and laid them in the street and Jesus was there in the middle of it all, steady and solid as the sky. Things got a little out of hand. But that never seemed to bother Jesus. He got tired sometimes, needed rest and space, but he didn’t try to control us. He let us be however we were, welcomed us and that day we were happy and he didn’t bother to contradict. It was one of the things they hated the most about him, the way he refused to control us. He didn’t seem to need to control anyone and therefore refused himself to be controlled. It bothered me too, if I’m honest. I couldn’t figure out how he might overthrow the Romans without taking for himself some measure of the power and control they exerted over us. But it bothered me less when I was with him, then it felt like I could believe anything and, if I’m honest, I thought he would change when we got to Jerusalem. To the Pharisees, it was blasphemy, all of it. The way we sang and danced in the street, the image of Jesus on the donkey like some kind of street urchin playing king, it was all offensive. But mostly it smacked of disorder and freedom, two things they feared and fought tooth and nail. “Rabbi, tell them to stop, make them stop!” they shouted. Jesus turned from watching the dancing children, the singing men. I watched him meet the Pharisees’ eyes. My hand involuntarily drifted to the hilt of my sword. Jesus held the donkey still while all around him the crowd rose and swelled. There was amusement in his eyes and he smiled a sad smile. It felt like the first day of spring, I tell you. Like everything we waited for was so close we could almost taste it. It was glorious. It’s harder now, to talk about the rest. When we reached the inner edge of the Jerusalem, Jesus burst into tears and the words he spoke terrified and confused us. Confusion and fear followed us everywhere that week; it hunted us, hounded us. 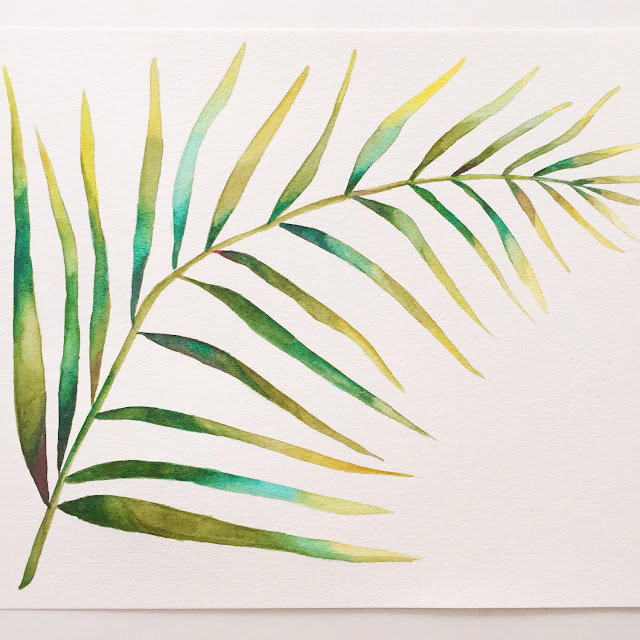 For a long time, when I remembered Palm Sunday, I felt regret, embarrassment, how little we really understood. But Jesus, he loved it. Now I know he carried our praise with him through the darkness that lay ahead. He focused on the memory of our singing when the crowds cried out for his death. Jesus’ first desire wasn’t to change us. It was to be with us. And his being with us, changed us, slowly into something closer to who he was, what he was. I like to think of it like that – he carried us with him, our joy, our love, to the cross and we carry him with us, his joy, his love through every week ahead, singing and dancing or weeping in sorrow, we carry him, he carries us. We finally have a #SmallWonder button! If you want to use it, simply copy the image, then add it to your post or sidebar with a link to www.afieldofwildflowers.blogspot.com. Kelly, your creativity never ceases to amaze me. Thank you for this fresh drink of water from the well of your words. Kelly this is a beautiful way to bring the story alive for us! Thank you for sharing it. Blessings to you! I LOVE considering the possibilities of a narrative through the eyes of the various characters! So much fun! Thanks for sharing this! And so helpful for me, thanks Lydia. By the way, in case you didn't see it, I did the very same thing with a passage from Mark in the post I linked up here recently, "Thoughts from a Prison Cell" (http://journeyoftheword.com/2016/02/29/thoughts-from-prison-cell/). A Bible-study partner suggested this character's perspective, so I gave it some thought and posted it soon after. Again, such fun to consider the stories in this way! I think I must have missed that, thanks for sharing, Lydia. You remind me that we too have this same permission, this responsibility, this luxury: "If we ever needed permission, we had it. We cheered and sang all the louder, “Give thanks to the lord for he is good, his steadfast love endures forever!”" Thanks for sharing with us what you gave to your congregants. Beautiful, Kelly. Thanks for taking me back to that week. We get so far removed from the reality of actual people living through those days. Yes! Michele - that's it, isn't it, we lose sight of humanity. Just beautiful! My favorite line in this post ... "Jesus’ first desire wasn’t to change us. It was to be with us." How very humbling to think of the lengths He will go to be with me. Grateful to think on this today! Emmanuel, God with us . . . I have felt challenged lately to read the gospels and put myself in the story. Who would I be? It is challenging and illuminating if we stay with it. I appreciated what you have done with this. I am currently reading in Mark this week for this year. Thanks for this. Thanks Carol, blessings on your reading. Beautiful retelling! I remember when I first read this story as a child in school - and I pictured morning sunshine against the wall of the house as they took the donkey and its colt - I still see that sunshine today when I read the story. How exciting it would have been to be on that road, laying down palms on the road before him, singing his praises! Thank you for this! Shalom! i read somewhere that the colt owner may have allowed the disciples to take the animal because of what had happened in Bethany not long before: Jesus had brought Lazarus back to life (John 11). Imagine seeing a man, once dead and buried, walking on the paths of your village again!! Such an astounding event would certainly lean your heart toward the Miracle Worker! I also appreciated the ending of your story. I never thought about Jesus' "carrying the praise with him into the darkness ahead." Heart-touching, Kelly! That's an interesting point, Nancy. Tears rose because of the beauty contained in this story. Thank you! Lovely reflection, Kelly! I think we gain a lot when we imagine ourselves (put ourselves in the picture) depicted in scripture. I think we also learn much about our own hearts and spirits. Thanks for this!